DR. JAFAR’S IRAQI ‘BEACH BALL,’ WHEN COUPLED WITH RUSSIA’S CLUB-K, PRESENTS A NATIONAL SECURITY NIGHTMARE THE U.S. CANNOT AFFORD TO RISK. The next time you watch a freight train pass by a railroad crossing, or hear the evocative sounds of the mournful horns of trains passing in the night or railroad crossing warning bells as flatbed rail cars double-stacked with cargo containers roll by, or see a flatbed semi-truck hauling a cargo container down the highway, keep in mind that President Barack Hussein Obama and his administration awarded Saddam Hussein’s rogue nuclear mastermind access to Florida’s Port Canaveral cargo container terminal, a U.S. port of entry that gives Russia and its Axis of Evil client states unfettered access to the entire United States. This paper will explore how the confluence of several seemingly disparate factors have come together to create a perfect storm, threatening the United States and the West. The tectonic shift of (i) the placement of Saddam Hussein’s nuclear scientist Dr. Jafar Dhia Jafar and Gulftainer inside the wire at Port Canaveral with a 35-year container terminal lease through a secret operation known as ‘Project Pelican’ (ii) the dawn of Russia’s Club-K container missile launch system, (iii) The Jafars’ and Gulftainer’s joint venture with Russia’s state-owned Rostec, which owns 100% of the shares of Rosoboronexport, the exporter of the Club-K, (iv) Dr. Jafar’s miniaturized nuclear weapon, known as the ‘Arab bomb’ or ‘Beach Ball,’ (v) the Jafar family’s long-term relationship with Russia and the KGB/SVR and GRU intelligence services revolving around nuclear, chemical, and biological WMD, (vi) Dr. Jafar’s collaboration with North Korea on weapons delivery systems, and (vii) the similarities between Dr. Jafar’s ‘Beach Ball’ and the miniaturized nuclear weapon seen with Kim Jung-un, has become the perfect storm of danger, both on and off our shores. In December 2016, we wrote “What Could Possibly Go Wrong.” Subsequently, we learned that several things have already gone wrong and could likely get worse. The advent of a new advanced weapon system designed and built by Russia, and the involvement of hostile foreign governments deeply tied to the Iraqi weapons of mass destruction (WMD) experts who leased Port Canaveral’s container terminal, have now made the already dire national security situation at Port Canaveral exponentially more dangerous. The situation has reached critical mass. 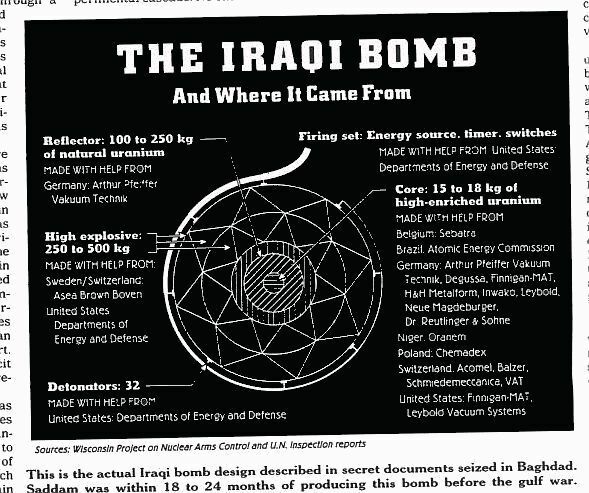 ‘Project Pelican’ was the secret operation that handed over the cargo container terminal at Port Canaveral, Florida to Iraq’s oil-wealthy Jafar family, major power players in Saddam Hussein’s rogue nuclear WMD programs. Particle physicist Dr. Jafar Dhia Jafar, under the watchful eye of KGB General Yevgeney Primakov, masterminded Saddam Hussein’s top secret Petrochemical Complex Three (PC-3) nuclear weapons program. As Saddam’s Deputy Defense Minister and chief nuclear adviser, Dr. Jafar also oversaw procurement operations for Iraq’s vast nuclear, biological, and chemical WMD programs. Dr. Jafar, his brother Hamid Jafar, and Hamid’s sons Majid and Badr are all key executives steering the family business, the Crescent Group conglomerate. The Crescent Group is the ultimate parent company of Gulftainer and Crescent Petroleum. The Jafars were able to take control of the American cargo facility at Port Canaveral through an illegal 35-year lease granted to the Jafars’ UAE-based ports company Gulftainer (GTUSA). Hamid Jafar was the key player in Saddam’s ‘Oil for Superweapons’ scheme, also known as ‘Put a Tyrant in your Tank.’ Under this scheme Crescent Petroleum, acting as a front company for Saddam, would sell millions of barrels of Iraqi crude oil to be used for Fina gasoline sold in the United States in order to fund Dr. Jafar’s rogue nuclear weapons program. The Project Pelican operation succeeded in placing Gulftainer and Dr. Jafar inside the wire at Port Canaveral without the required national security reviews because the Committee of Foreign Investment in the United States (CFIUS) process was corrupted. CFIUS staff chairperson Aimen Mir at the Treasury Department bypassed the mandated 30 and 45-day national security reviews of the Gulftainer Port Canaveral transaction, allowing the Jafars to fly under the radar of the intelligence community. In an October 18, 2017 tweet, author James Rickards, former advisor to the Committee on Foreign Investment in the United States (CFIUS) Support Group of the Director of National Intelligence (DNI), revealed that “before Uranium One” Director of National Intelligence James R. Clapper “disbanded” the CFIUS DNI advisory group. A paradigmatic example of the application of Sun Tzu’s principle of deception in warfare, is the Russian-designed WMD delivery system known as the Club-K (Klub-K). Russia’s Club-K container cruise missile launch system, the so-called ‘pandora’s box’ or ‘doomsday box,’ is an apocalyptic needle in a haystack, a modern-day WMD Trojan Horse delivery mechanism controlled via satellite. U.S. defense experts have stated that the Russians have sold Club-K to Iran and also possibly to North Korea, Venezuela, Malaysia, China, and the UAE. Club-K container cruise missile launchers are designed to look identical to standard ISO intermodal commercial cargo containers, making them extremely difficult to detect and track. Club-K containers can be moved unnoticed throughout the United States aboard ships, riverine boats, rail cars, and flatbed semi-trailers. Club-K Russian Kalibr-class cruise missiles can carry nuclear, EMP, chemical, biological, or conventional payloads and could deliver instant devastation far beyond anything Americans witnessed during the Pearl Harbor and 9/11 attacks. The Club-K is a Trojan Horse that hides enemy missiles in order to attack the United States from inside the United States. Image from the official website of arms exporter ROSOBORONEXPORT, part of Russia’s state-owned ROSTEC. Image: 2010 SOCHI, RUSSIA Vladimir Putin watched over Badr Jafar, Chair of the Gulftainer Executive Board, as Gulftainer entered a joint venture with Rostec. Club K containers have a shelf life of ten years. Each unit can lay dormant for a decade, until activated. “There are terminals everywhere, where they can be stored however long it takes” boasted Rostislav Atkov, director for foreign economic activity at Morinformsistema-Agat Concern, the Russian manufacturer of the Club K container missile system. Atkov’s menacing remark about stealth Club-K launchers lying in wait in “terminals everywhere,” translated from Russian, suggests that Russia conceptualizes the Club-K as not just a defensive weapon but also as an offensive system for preemptive attacks. Atkov’s words were picked up by Global intelligence firm Stratfor and subsequently released by Wikileaks. Atkov’s comments from “I Serve Russia” a TV program on Russian Defense Ministry-controlled Zzezda TV. Baghdad-born Dr. Jafar began his high energy physics career studying nuclear fission in the Soviet Union after being rejected for a position at his U.K. alma mater the University of Birmingham. He spent decades under the tutelage of Saddam’s Soviet Adviser, KGB General Yevgeny Primakov (a.k.a. Nemchenko) (a.k.a. KGB code-name MAXIM). Dr. Jafar has been working with the KGB and its successor the SVR, for at least 36 years, dating back to at least 1982. Dr. Jafar proposed to Saddam that Iraq deceptively remain a signatory to the Non-Proliferation Treaty (NPT) to avoid raising suspicion in the West while he was secretly moving Saddam’s nuclear weapons program into new clandestine facilities. “‘If we walk out now, our enemies will say this is proof of our real intentions. I say we keep them guessing. 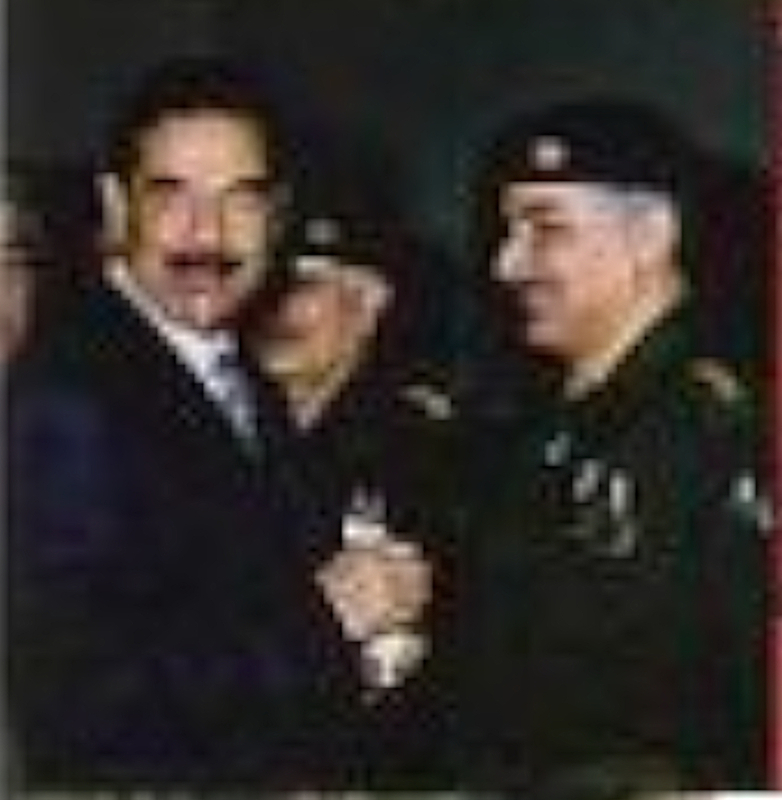 Better we stay inside and learn how to deceive them’’ Dr. Jafar reportedly told Saddam. Dr. Jafar turned to the KGB for technical assistance and advice in concealing his rogue nuclear weapons program inside structures that U.S. satellite imagery analysts would not recognize as WMD facilities. Dr. Jafar used Vietnamese tunnel diggers (who had years of experience digging tunnels for the communist NVA during the Vietnam War) to dig Dr. Jafar’s new underground nuclear WMD facilities. “The debriefings indicated that the underground facilities had been dug by 2,500 Vietnamese laborers during the mid-1980s who toiled for $4 per month,” the former CIA officer said. “They dug at night to avoid infrared signatures. It was all done by drill blast, without heavy machinery.” To the trained eye, these were all telltale signs of Iraq’s intent to camouflage the work from satellite surveillance. Dr. Jafar would go on to occupy the highest echelons of Saddam Hussein’s brutal regime, relying on his deep understanding of particle physics and his engineering prowess to advise President Hussein on how to unleash the power of science against their shared enemies, the United States and Israel. Spy master Primakov, also known as the ‘Bear in the Desert,” directed all of the KGB/SVR’s foreign intelligence operations for several years. Virtually single-handedly, Primakov ran Russia’s interests in the Arab World via the KGB’s Foreign Intelligence Service (FIS) and the KGB’s successor the SVR, which Primakov established and directed. Primakov was CIA mole Aldrich Ames’ handler. Ferociously anti-Semitic and fluent in Arabic, Primakov clandestinely created Russia’s Islamic Bloc of rogue terror-sponsoring Middle Eastern regimes: Iran, Iraq, Syria, Lebanon, and Sudan. With cold calculation, Primakov targeted the poorly-educated Islamic populations of these countries with anti-Semitic propaganda brainwashing. Throughout the Islamic Bloc, Primakov weaponized Islamic extremism against the ‘imperialist’ United States and the ‘Zionist’ Israel, all to Russia’s benefit. The Perestroika Deception and the Islamic Bloc were meant to weaken the U.S. military through endless wars on terror, and to set the stage for Vladimir Putin’s takeover of the Middle East, while U.S. strategic nuclear forces became antiquated. With the U.S. military mired in Primaokov’s deadly project known as the ‘War on Terror,’ America took its eyes off the mushrooming threat from its old Cold War adversary Russia. Putin, seeing an opening, rapidly innovated and accelerated Russia’s strategic weapons programs, expanded Russia’s cruise missile arsenal and submarine fleets, and developed new asymmetrical systems like the Club-K. Russia is proliferating these new weapons and tactics across the Axis of Evil as America becomes surrounded by menace. Dr. Jafar, a “Dr. Strangelove who mixes Muslim fatalism, Arab nationalism, and modern technocracy,” executed his most terrifying crowning achievement (perhaps prior to ‘Project Pelican’) with the successful design and production of his super-secret miniaturized nuclear weapon known as the ‘Beach Ball,’ was a worrisome and alarming technical accomplishment. ‘Beach Ball’ was the manifestation of Saddam’s and Dr. Jafar’s dream of creating the first ‘Arab bomb’ and Dr. Jafar’s ‘Beach Ball” created a sea change in the Middle East nuclear weapons environment. Let the Israelis believe they destroyed our nuclear capability. Accept the sympathy offered for this aggression then proceed in secret with an atom bomb program — which is what we did. Images: ‘Beach Ball’ miniaturized nuclear weapon, Dr. Jafar Dhia Jafar, computer animation depicting Club-K container cruise missile launch from aboard a rail car. With the arrival of the Club-K, the true scale of the threat from Dr. Jafar’s ‘Beach Ball’ must be recalculated. The Club-K container system’s stealth WMD delivery capability has exponentially expanded the danger zone from Dr. Jafar’s ‘Beach Ball” — it does not cover just Israel and the Middle East anymore but has now expanded to every city in America. Defense analysts call the arrival of Club-K an asymmetrical “game changer” that has shifted the U.S.-Russia strategic balance of power to Russia’s advantage. 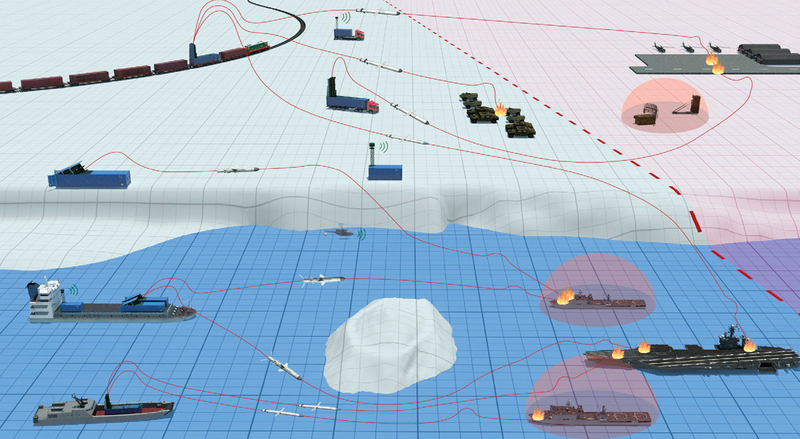 Russia is even equipping its new state-of-the-art arctic icebreakers with Club-K missile systems. Officials at NORTHCOM/NORAD concede that the United States has no off-the-shelf technical solutions for (i) tracking Club-K units that determined adversaries may have already smuggled into the U.S. or (ii) defending America from surprise Club-K cruise missile attacks, which could include nuclear and EMP attacks. The coupling of ‘Beach Ball,’ Dr. Jafar, and Gulftainer with the genesis of Russia’s Club-K container missile launch system, and the placement of Dr. Jafar ‘inside the wire’ at Port Canaveral, adds up to a catastrophe in the making. In 2011, around the same time that Gulftainer was setting up their Ust-Luga port operations, a prototype of the Club-K debuted at the nearby 2011 International Maritime Defence Show in St. Petersburg. Gulftainer’s Ust-Luga is one of twelve Russian ports where ships carrying nuclear material or products are allowed to dock. Because Primakov led the Islamic Bloc — Iraq, Iran, Syria, Sudan, Lebanon — it must be understood that Dr. Jafar was not merely Saddam’s rogue nuclear scientist, but was also one of the leading nuclear scientist in Russia’s wider Red-Green alliance, spanning from North Korea to Iran. Accordingly, it comes as no surprise (i) that Dr. Jafar has worked with the North Koreans since the 1990s seeking a delivery system for ‘Beach Ball,’ (ii) that the Jafars and Crescent are deeply connected to Iran’s brutal regime, (iii) that the Jafars’ Director of Strategic Planning was deeply involved in President Obama’s Joint Comprehensive Plan of Action (JCPOA P5+1) (the ‘Iran Nuclear Deal’) — working for the Iranian side — (iv) that the Jafars’ employee Siamak Namazi, a former Iranian army officer and Iranian regime government official, became Crescent Petroleum’s Director of Strategic Planning. 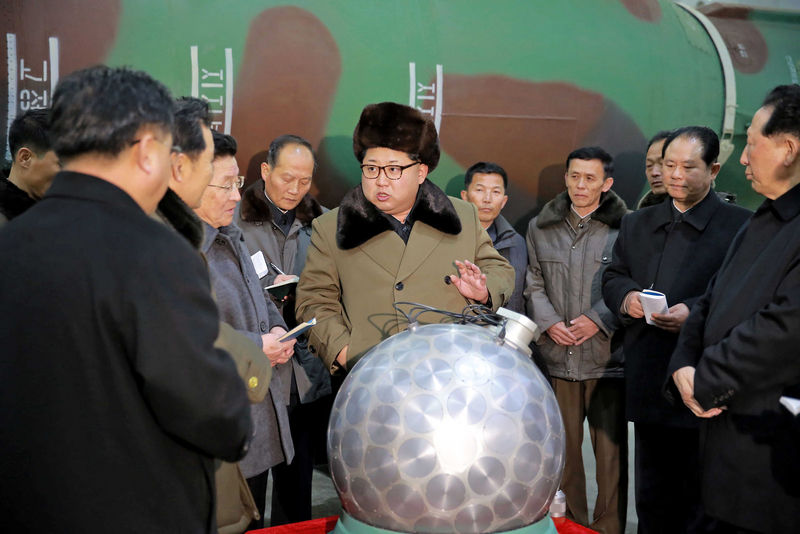 Images: Dr. Jafar’s ‘Beach Ball,’ Kim Jong-un with North Korean miniaturized nuclear weapon, Club-K unit aboard semi-trailer. Dr. Jafar’s Iraqi ‘beach ball’ nuclear bomb bears a striking resemblance to the miniaturized nuclear warhead which North Korea’s ‘Rocket Man’ Kim Jong-un was photographed posing with and ‘hugging’ in propaganda images released by North Korea in 2016. The latest blueprint, according to United Nations inspectors, is of a sphere measuring 32 to 35 inches in diameter with 32 detonators. The bomb would weigh less than a ton and fit on a Scud missile, the weapon Mr. Hussein used in the war to hit Israel and kill American troops. The ‘Beach Ball’ represents a horrific development. It is, however, made significantly more frightening by its coupling with the stealthy cargo container delivery system. The Club-K can be launched remotely and provided with target acquisition data from “any coastal, shipborne, aviation, or satellite system,” such as North Korea’s mysterious KMS 3-4 and KMS-4 satellites, currently orbiting over the United States, in a high-tech enemy act of military deception. The Club-K missiles have satellite navigation, which currently would utilize the U.S. GPS and the Russian GLONASS (GPS) systems, and possibly also China’s Beidou 2 system and Europe’s Galileo in the future. According to the Club-K promotional video, targeting coordinates would be provided from space by a satellite, but these could also be supplied by airborne platforms. 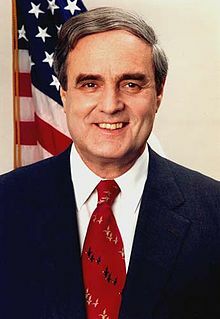 Experts such as Dr. Peter Vincent Pry fear that North Korea could use a miniaturized nuclear weapon or a variant — the so-called ‘Super EMP,’ in order to knock out much of the U.S. power grid, plunging America into darkness with disastrous repercussions for the American public. Wiping out America’s power grid with an EMP is something that North Korean dictator Kim Jong-un has recently hinted he is prepared to do. “Let’s reduce the US mainland into ashes and darkness” North Korea’s official KCNA news agency threatened in a September 2017 statement. 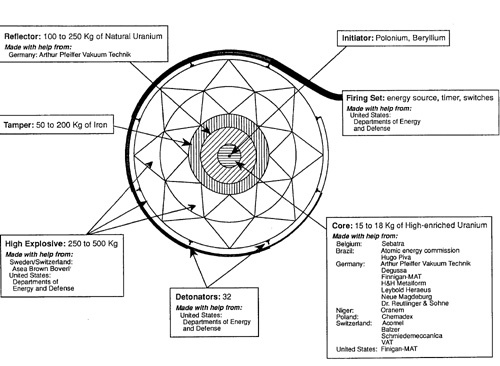 SUA believes strongly that Iran now possesses low yield nuclear warheads that can be mounted on the Shehab missile and deployed on the oceans in container ships with the Russian provided Club K missile launch system…to launch EMP (electromagnetic pulse) weapons on U.S. Coastal cities and freeze our national grid systems. 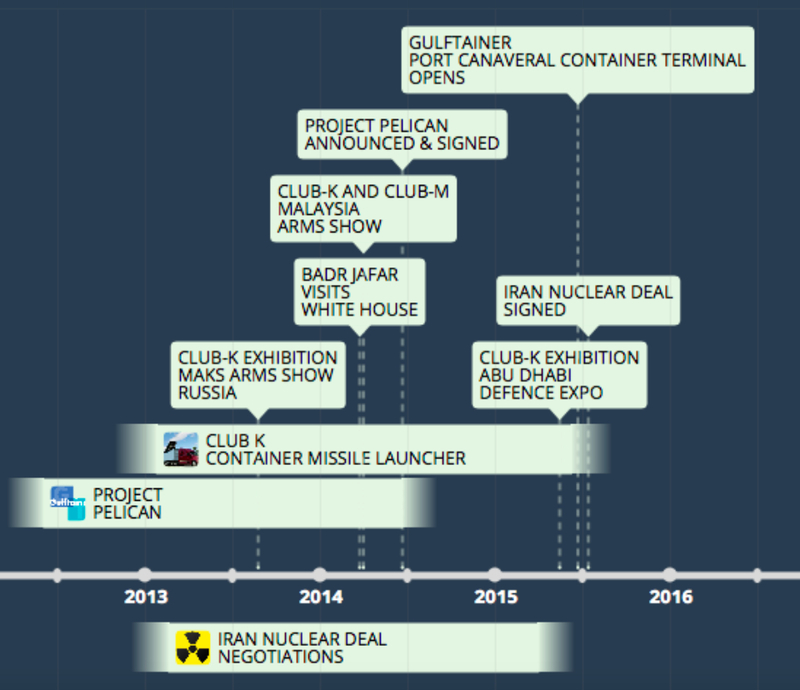 Not only has Iran reportedly purchased the Club-K, it has been practicing launching EMP attacks from cargo freighters and has deep ties to the Jafar’s cargo container operations. (Dr. Peter Vincent) Pry, president of EMPACT America, one of the nation’s leading authorities on EMP, revealed that Iran recently purchased Russia’s Club-K missile launcher, which can be hidden in tractor-trailer-sized cargo boxes. When Gulftainer took control of container terminals at three major Saudi Arabian ports by grabbing the helm and the majority equity stake of the renamed Gulf Stevedoring and Contracting Company (GSCCO) the Jafars also became consortium business partners with GSCCO’s co-founders KGL, a Kuwaiti ports company. KGL executives and board members, it had recently been revealed in an American court, were deeply involved in a secret container ship operation with the The Islamic Republic of Iran Shipping Lines (IRISL) and were under FBI and DoD investigation for money laundering and sanctions violations. IRISL was under U.S., EU, and UN sanctions at the time due to IRISL’s history of shipping materials for Iran’s rogue nuclear weapons program. The KGL officials worked closely with a top IRISL executive who was placed under sanctions as a Specially Designated National (SDN) by the U.S. Treasury Department and was separately indicted for conspiracy by U.S. District Attorney Cyrus Vance in Manhattan. The attention might have been a problem for Gulftainer as it secretly courted first Port Jacksonville (located near Naval Submarine Base Kings Bay and Naval Station Mayport), and then Port Canaveral. Senators Mark Kirk (R-Ill.) and Claire McCaskill (D-Mo.) 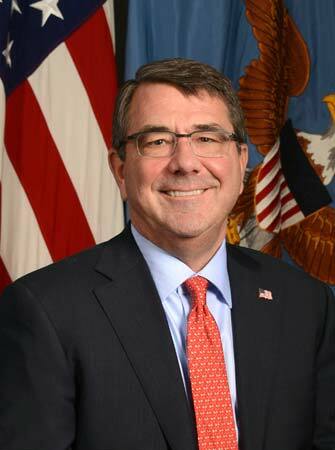 demanded answers from Undersecretary of Defense Ashton B. “Ash” Carter as to why KGL has been awarded over $1 billion in Department of Defense contracts. The Jafars’ business interests are not only intertwined with Russia and Russian intelligence services, but also with the terror-sponsoring Iranian regime. The Iranian government has served as a talent pool for key executive posts within the Jafars’ shadowy business empire. The Jafars turned to a former Iranian army officer and regime official with deep ties to Obama’s ‘Iran Nuclear Deal’ to operate as its Director of Strategic Planning for the Jafars’ Crescent Petroleum. 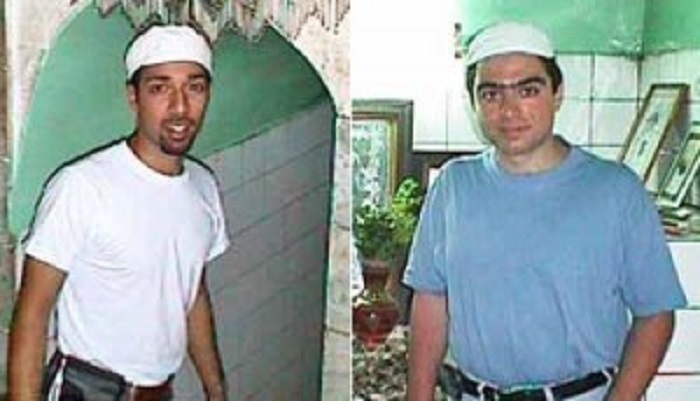 Siamak Namazi and his Iranian father Baquer Namazi were feeding talking points to Swedish-Iranian operative Trita Parsi. 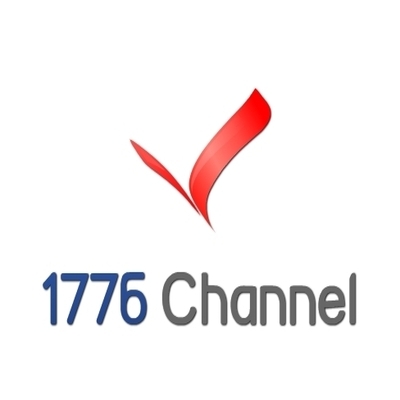 Siamak Namazi’s other contacts include Iran’s UN ambassador and former US Ambassador to the Urkraine William Greene Miller, then-Senator Obama’s backchannel to the Iranian regime. Ambassador Miller’s mentor Fred Dupee joined the CPUSA and handed out communist literature to the longshoremen’s union in New York City, where Miller grew up. Dupee was a member of CPUSA’s League of American Writers. MILLER: I also was reading and studying American literature with Fred Dupee. I don’t know if you know that name. Q: I’ve heard the name. MILLER: Yes, he was a visiting professor from Columbia. Fred Dupee, became a close friend and was a very important influence. Ambassador Miller promised the Iranians a better deal than what the Bush administration was offering. 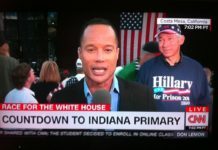 This backchannel diplomacy took place in advance of the 2008 presidential election. Court documents proved through the exposure of Siamek Namazi’s emails that Namazi was giving talking points to Trita Parsi. (In one of the subpoena’d emails sent by Parsi) Parsi discussed the contents of the minutes from their conference call. “Iran Lobby” provided an analysis of the email. The email reveals that Baquer Namazi is the ringleader of the group, giving instructions to Parsi and the others. Parsi is thus working with Namazi, who has close ties to the Iranian regime, and whose family members work for one of the top consulting companies in Tehran with multiple links to government officials and ministries. The email indicates Parsi also was working with William G. Miller, then an advisor for the Search for Common Ground and a member of the board of the American Iranian Council. He earlier had been a political officer at the US Consulate in Isfahan (1959-62) and Embassy in Tehran (1962-64). Namazi sent emails to Trita Parsi, his cofounder of NIAC as Parsi visited the Obama White House on 33 occasions in the run up to the Iran Nuclear Deal. Trita Parsi and Siamak Namazi co-founded the National Iranian American Council (NIAC). Namazi and Parsi were crafting the Iran Nuclear Deal and heavily lobbying Washington for its implementation. Parsi was photographed meeting with senior Iranian regime officials in Switzerland during negotiations for the Iran Deal. The Jafars’ Director of Strategic Planning Namazi attended the 2012 World Ports and Trade Summit in the UAE with Gulftainer officials during the secret Project Pelican deal negotiations. Let us recall that Mr. Primakov was one of the first to propose a solution to the Iranian nuclear issue. And all who were involved in resolving this problem know the role the different countries, diplomatic services and intelligence services played in this complex process. We know this role. We are not exaggerating anything here, but the fact remains that Mr. Primakov was one of the first to propose a peaceful solution to the problem. 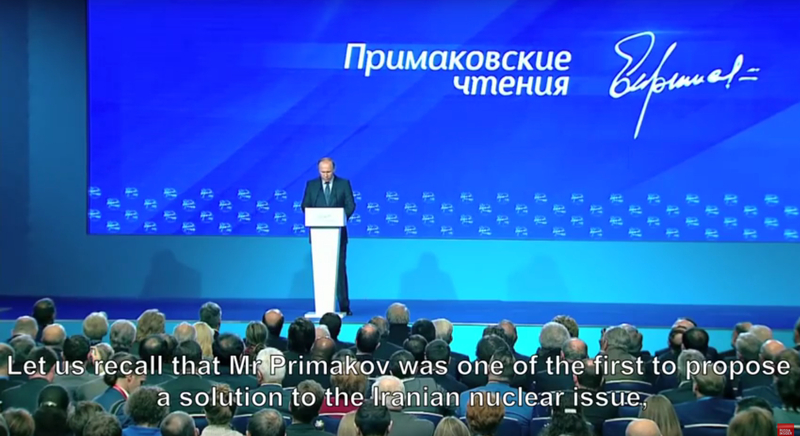 Image: Russian President Vladimir Putin credited Yevgeny Primakov with being one of the first to call for the Iran Nuclear Deal. Image: Club-K container cruise missiles launched from ships, trains, and trucks targeting a military base on land and an aircraft carrier group. Source: ROSOBORONEXPORT, the weapons export unit of Russia’s state-owned ROSTEC. The Jafar’s Gulftainer entered a joint venture with ROSTEC. These Club-K container cruise missile attacks could be augmented by force-multiplying submarine fleets from (i) Iran (a member of the Islamic Bloc), (ii) from North Korea, Vietnam, and China (members of the Trans-Asian Axis) (iii) and from Russia. 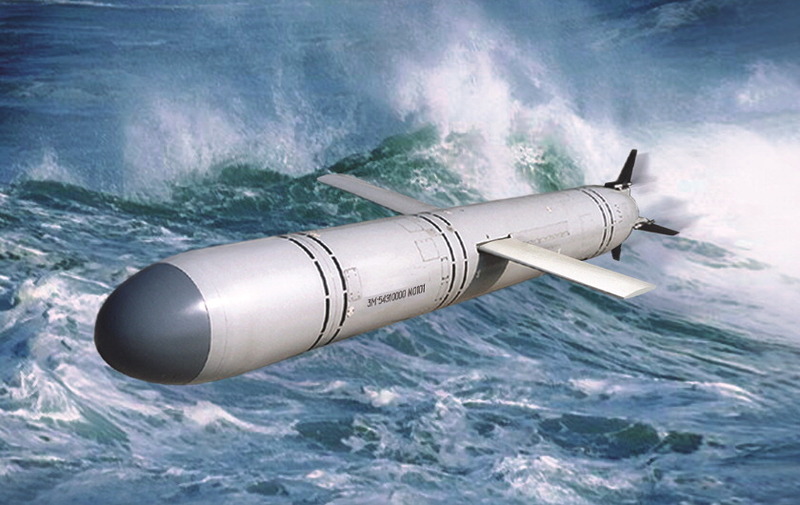 These submarines (such as the Russian Akula II class) along with surface warships and merchant ships also carrying Kalibr cruise missiles could result in a massive coordinated surprise cruise missile attack from both off U.S. shores and from within the U.S. interior, including highways, rail lines, and rivers. A single Club-K with four missiles carrying nuclear or conventional weapons could devastate several U.S. cities. 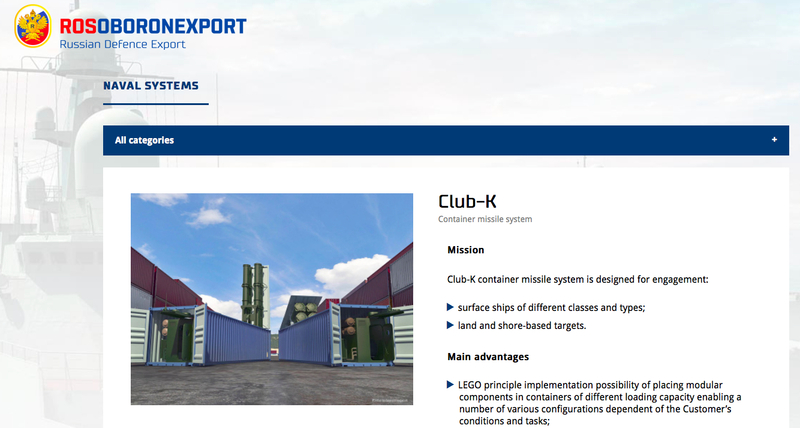 Russia designed its Club-K system container units to be used in large numbers as components of a massive preemptive ‘distributed lethality’ attack against the United States. A coordinated Club-K attack by Russia and its affiliates could immediately limit America’s counter-strike options and capabilities. The ‘Kalibration’ of the naval forces of Russia and other Axis-of-Evil states including Iran and North Korea is the ‘distributed lethality’ tactic of widely deploying Russian Kalibr cruise missiles aboard axis submarines and hidden in ‘Club-K’ ‘cargo containers’ which can launch Kalibr cruise missiles from ships, riverine boats, rail cars, and semi-trucks inside the United States. While we focused on CT (counterterrorism) and COIN (counterinsurgencecy) fight, other countries, Russia, China, Iran, and North Korea, went to school on us. They closely watched how we fought (in Iraq) in ‘91 and ‘03. They studied our doctrine, our tactics, our equipment, our organization, our training, and our leadership. And in turn, they revised their own doctrines and they are rapidly modernizing their militaries today to avoid our strengths in hopes of defeating us at some point in the future. Recently a senior Russian official, Ambassador to the United Kingdom Alexander Yakovenko, he said quote… “Russia can now fight a conventional war in Europe and win. Russia is the only country that will remain relevant forever. Any other country is dispensable, and that includes the United States. We are in endgame now” end quote. Bluster? Hubris? Bravado? Or does he mean what he says. Does he believe it? And more importantly, do the leaders in the Kremlin believe it? Well, history tells us to be careful. It’s always wise to believe foreign leaders’ declaratory policy as most nations tend to telegraph their strategic intentions. Image: Russian special forces generals and KGB/SVR general Yevgeny Primakov oversaw Operation Emergency Exit, a secret evacuation of Iraqi WMDs in early 2003. Primakov helped oversee Russia’s GRU Operation ‘Emergency Exit’ (Russian code-name: Sarandar) that hid Dr. Jafar’s and Saddam’s WMDs by moving them to Syria, Lebanon, and Iran via truck convoys and air cargo operations in early 2003 as the US and coalition military forces prepared to invade Iraq at the onset of Operation Iraqi Freedom. Primakov, with the help of Russian Spetsnaz special operations elite units dressed in civilian clothing to avoid detection by American spy satellites, worked side-by-side with Saddam’s elite Iraqi Special Security Organization (SSO) special operations personnel, to move and hide all traces of ‘Beach Ball’ and other WMD. A compilation of reports indicated that converted Iraqi Airways Boeing aircraft were used in 56 sorties into Syria (disguised as relief missions for flood victims), truck convoys, refrigerated cargo containers, and Primakov’s own aircraft, to move Iraq’s WMDs into Syria, Lebanon, and Iran. 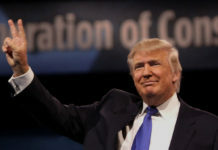 Political operatives inside U.S. intelligence, led by CIA Chief of the European division for clandestine operations in the Directorate of Operations Tyler Drumheller, sought to gain political advantage in the 2004 presidential election, by insisting that there were no WMDs in Iraq. In fact there were — a deception which benefited Dr. Jafar, Primakov, Putin, and Syrian dictator Bashar al-Assad greatly. Drumheller’s wife was working for John Kerry’s presidential campaign. Drumheller threw his country under the bus for political advantage in the upcoming election. Not everyone bought into Drumheller’s story. Just ask Dave Gaubatz, a civilian US federal agent with the U.S. Air Force Office of Special Investigations (OSI), who previously spent 20 years on active duty. Agent Gaubatz was exposed to WMD in Iraq and he has the medical records to prove it. Agent Gaubatz, highly trained in counterintelligence, counterterrorism, and Arabic linguistics, deployed to Nasiriyah, Iraq in 2003, tasked with looking for WMD. His team, with help from a few local Iraqis who wanted to help America, all risked their lives but succeeded in locating several WMD sites. Mysteriously, the OSI WMD reports that Gaubatz and his team filed were ‘lost’ by OSI and the Department of Defense. By 2006, the WMD sites Gaubatz’s team located had still not been inspected. 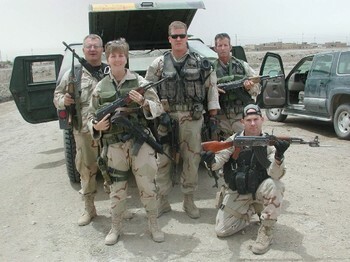 Agent Gaubatz returned from Iraq suffering from acute radiation sickness and chemical weapons exposure after his deployment to an Iraqi Air Force base. 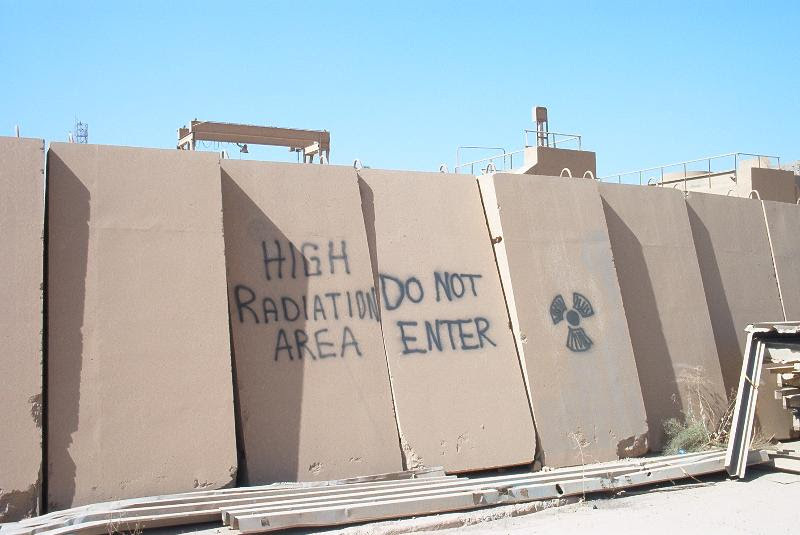 Certain areas of the base had tested above normal for radioactive materials. 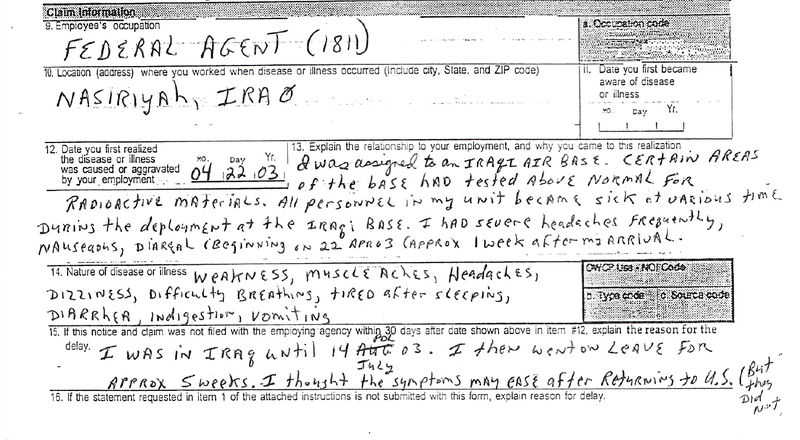 All personnel in my unit became sick at various time during the deployment at the Iraqi base. Another former U.S. military member who does not buy Drumheller’s story is former CENTCOM Arabic translator Bill Tierney, who actually listened to audio tapes of Saddam and Dr. Jafar (the so-called ‘Saddam Tapes’) discussing their WMDs and the ways to use them. However, and inexplicably, Director of National Intelligence John Negroponte shut down the ‘Saddam Tapes’ program prior to the completion of the review of all of the tapes. Failure to analyze all of the Saddam Tapes leaves vast amounts of intelligence, including additional data on Dr. Jafar and his WMD programs, inaccessible to decision makers. n the political and media environment of ‘Bush Lied, People Died,’ the most dangerous components of Dr. Jafar’s, Saddam’s, and Primakov’s nuclear weapons programs, including ‘Beach Ball,’ vanished in the darkness of night, under remote mountains and rivers, and across the deserts and out-of-the-way settlements of the Middle East. However, Saddam always had contingency plans to reactivate his nuclear WMD programs in the future, even in the event of the fall of his regime. With the components and CDs of blueprints of “Beach Ball” safely hidden by Dr. Jafar and Primakov’s Russian special operations troops, the potential scourge of ‘Beach Ball’ was never fully taken off the table. Like Russia’s Club-K container cruise missile launch system,’Project Pelican’ and the ‘Iran Nuclear Deal’ are also examples of the effective application of the principles found in Sun Tzu’s “The Art of War.” Notably, the three parallel operations were concurrently executed. For many months, the full scope of Iran’s and Russia’s strategic takeover of Iraq, Syria and with a presence not before seen in the the Middle East, made possible by President Obama, his cabinet, certain members of Congress, wealthy foreign-born financiers and businessmen, spies and double-agents operating throughout DC and the intelligence community have become frighteningly and soberingly apparent. Still unanswered questions about Barack Hussein Obama’s personal background and his 1980s travels to Pakistan are coming back to haunt U.S. national security as names of his former foreign student college roommates (Hamid Wahid and Vinai Thummalapally), several of whom traveled with Obama on a mysterious trip to Pakistan, reappeared in the investigation of the handover of a U.S. port to a company linked to Saddam Hussein’s WMDs, Russia, Iran and Pakistan. Seemingly disparate chapters in this grand rearrangement of the pieces on the chessboard are, upon closer inspection, parallel operations moving the United States closer and closer to a complete and final intelligence, military, economic, and civilizational defeat, burying the American experiment in democracy and permanently extinguishing any light from the shining city on the hill. The parallel operations are now coming together and on the verge of reaching critical mass. The withdrawal from Iraq, the murder of American heros at Benghazi, Extortion 17, the Pakistani Awan Brothers Congressional IT spying scandal, and now the Gulftainer Port Canaveral deal are only the visible signs of the iceberg tearing into America’s bow. 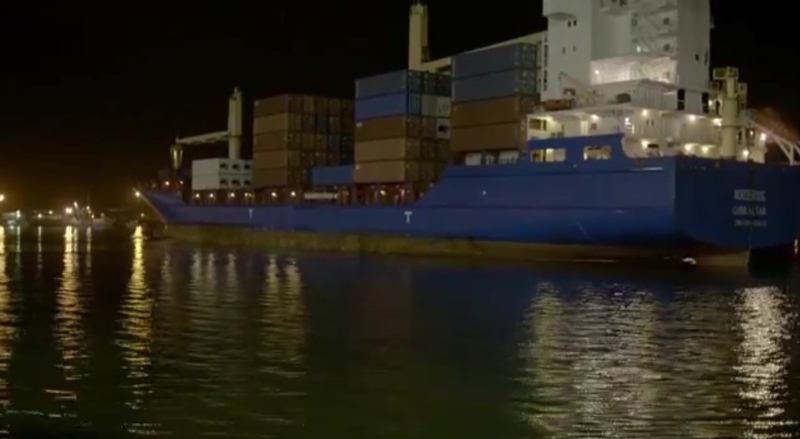 Below deck, America’s intelligence secrets have been spilling into the sea. Secret military hardware, communication systems and GPS technology have been handed over to enemies. One of our most strategic seaports has been given away to the UAE and by proxy to Iraq, Iran, Russia and more. Secret and illegal computer servers and fraudulent email accounts were set up as cyber-Wal-Marts for hostile governments to collect virtually unlimited data and secrets including Special Access Programs (SAP — above top secret) a classification which includes live Intel and silo locations. Interestingly not one single live intelligence operative remained standing in China after 2011. America’s enemies have been elevated, their powers expanded, while America’s reputation was sullied. For a major WMD commander like Dr. Jafar to emerge from Saddam’s Iraqi regime — the regime that created that threat environment that pulled the U.S. into the Iraq War — and to then gain access to U.S. national security hub Port Canaveral makes it impossible to evade the question any longer: On whose side was Barack Hussein Obama? What else has he done that we do not know about? The perfect storm did not just happen, it was conceived and created.